Having cancer can be stressful but it can lead you to a deeper state of healing and transformation. Cancer woke me up and gave me an opportunity for deep healing, beyond cancer. Bring your healing talents to those touched by cancer. Sonny Rose M.A Counseling Psychology, energy psychotherapist and creator of The Healing Beyond Cancer is enhancing this dynamic mind/body/spiritual program. I have experienced the journey through cancer and was able to integrate the passage and heal beyond the cancer. Today, my life is happier, healthier and more satisfying than ever before. 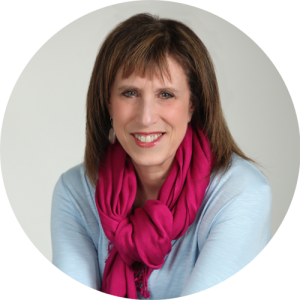 Bringing together my individual experience with cancer as well as my professional expertise and tools, I’m offering a very strong program I want to share with others on this journey. This program goes beyond stress management or your traditional cancer support group. The intention of this program is to support you in actively exploring and transforming your relationship with yourself and illness, and in this way, it goes beyond a typical sharing support group and opens you to a deep process of healing, beyond cancer. There are no Workshops scheduled at this time. Please check back soon. Sometimes the best transformation work is done face-to-face in the company of others with support and collaboration. Our workshops are designed to go beyond techniques and meditations for stress management, but to help you discover how patterns and habits of thinking, being, and behaving, create an experience of stressful living. You will learn how to generate an experience of living in peace and joy beyond techniques. Our teleclasses are generally a six week counseling-style healing program from the comfort of your own home. Designed to enhance a deeper intuitive connection resulting in a state of peace and empowerment. The CD is now available for purchase, please visit the Guided Mediation page for more information.